On My Wishlist is a fun weekly event hosted by Book Chick City every Saturday in which we list books we desperately want but haven't actually bought yet. The books can be old, new or forthcoming. Both of these books will be released on December 21st! Hunter Wild is the youngest in a long line of elite vampire hunters, a legacy that is both a blessing and a curse at the secret Helios-Ra Academy, where she excels at just about everything. Thanks to her friendship with Kieran Black, Hunter receives a special invitation to attend the coronation of Helena Drake, and for the first time, she sees the difference between vampires that must be hunted and vampires that can become friends—or even more. When students at the academy fall victim to a mysterious illness, Hunter suspects they are under attack from within. She will need someone she can trust to help her save the future of Helios-Ra . 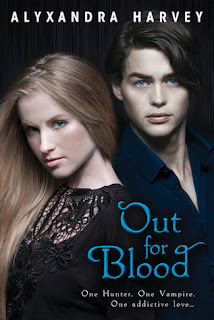 . . help that shockingly comes in the form of Quinn Drake, a drop-dead gorgeous vampire. Who said senior year would be easy? Out for Blood sounds really good , its on my list too. Hope you get to read these soon. I like the cover of Fall for Anything. I'm posting my wishes late again today because I've been busy baking. 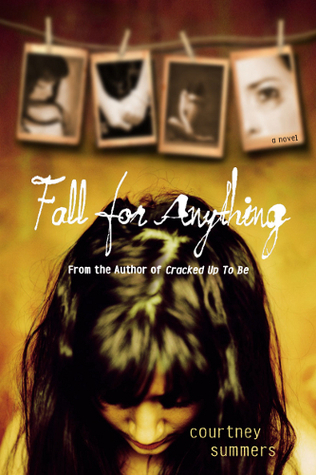 I like the cover of Fall for Anything. I put the wrong link down earlier. Argh.